We are one of the accredited manufacturers, exporters and wholesalers of a premium quality range of Split Seals. Our offered split seals are made with the assistance of expert professionals by making use of the quality assured material, sourced from the most trusted vendors of the industry. In addition to this, we keep in mind the established quality standards of the industry while manufacturing these split seals. Other details of these split seals are given below. 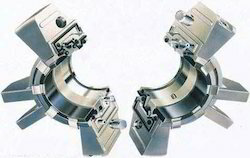 Looking for Split Seals ?